Brunch, that lazy, decadent meal that allows for sleeping in late and languishing over a full plate for hours, is still an ideal way to start a Sunday (and sometimes Saturday too) in the Big Easy. Often enjoyed between sips of champagne and Bloody Marys in lush shady courtyards, the best brunches are accompanied by live music, often with a stand-up bass player keeping the beat. Brunch in New Orleans is a longstanding tradition that makes weekends special. After a late night listening to music on Frenchmen Street, brunch, a deliciously hybrid feast is just what the doctor ordered. 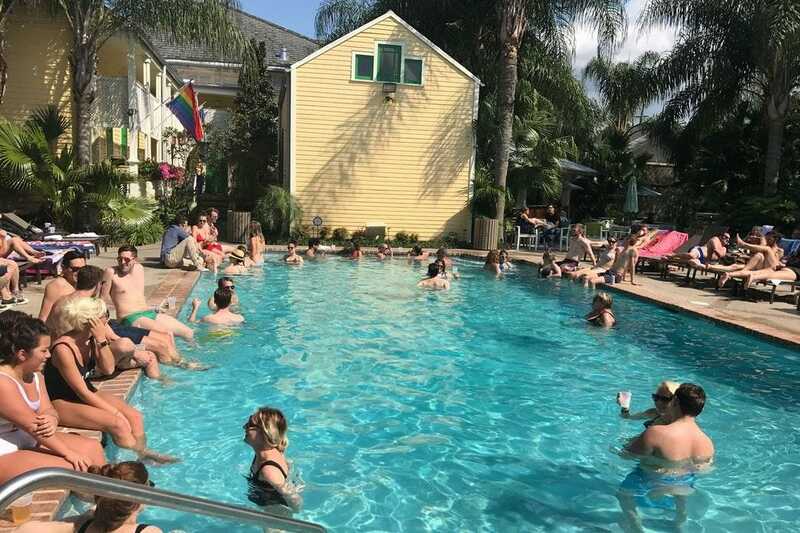 The Country Club may just be the best kept 40-year-old secret in New Orleans. Located in a stunning circa 1884 Italianate manse in Bywater, the restaurant resort celebrated four decades with a slew of changes, all of them great. Top of the list is new executive chef Chris Barbato, formerly chef de cuisine at Commander's Palace. 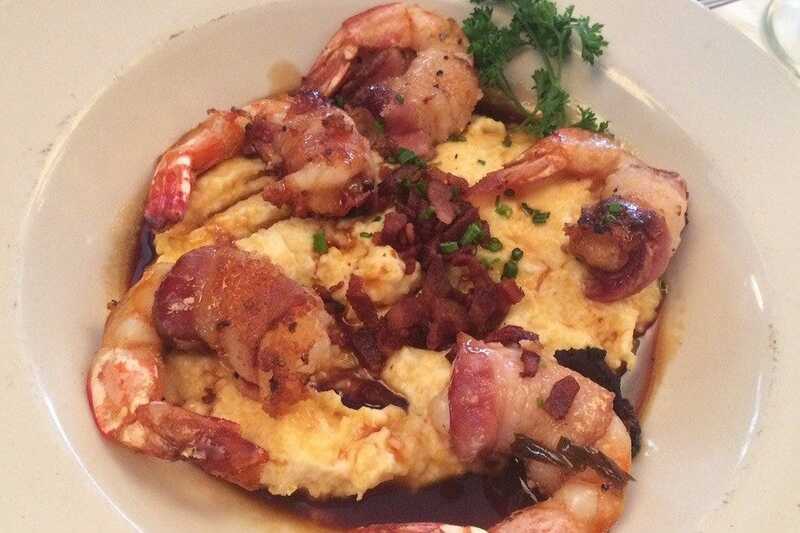 Barbato has reinvigorated the locally-inspired menu, with its nod to Italian-French and Creole-Southern heritages, with dishes from barbecue shrimp and grits to Chateaubriand, jumbo sea scallops and Louisiana speckled trout. Long known for its free-wheeling back courtyard chilled and heated saltwater pool scene, The Country Club has been spruced up inside and out with eye-popping murals by local artist Cindy Mathis and artwork from Louis St. Lewis, and a lush redo of the outside space, including the addition of an outdoor kitchen for poolside nibbles. Guests can pay a day rate to swim and lounge or pay an annual membership for unlimited privileges. Locals may recall that the pool was once clothing optional. That is no longer the case. Drag brunch on Saturdays is a hoot, with the crowd usually dominated by gaggles of lively bachelorette parties. Reserve well in advance, as the two seatings tend to fill up quickly. 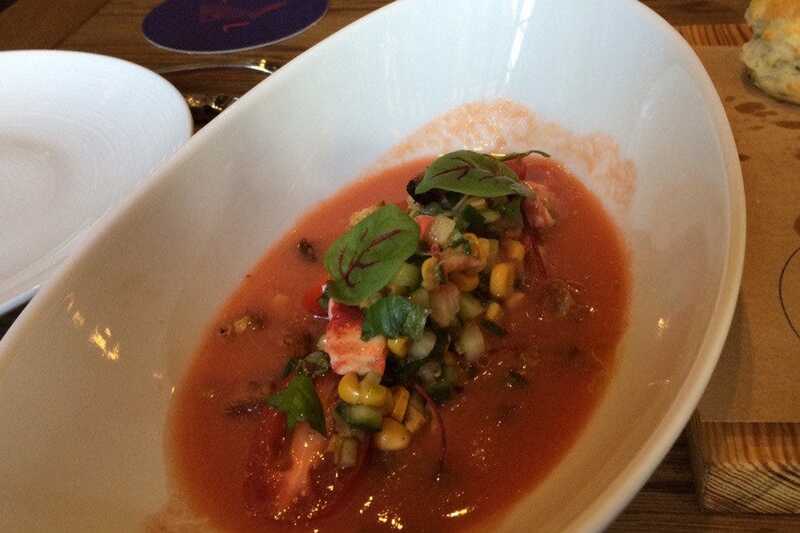 It's all great fun, but chef Barbato's food is the real star here. Don't miss his truffled mac-n-cheese and the debris and eggs is to die for. This place feels like being on vacation. What's not to love about that? A favorite with the locals, this eatery's the perfect spot to spend a leisurely morning. Beverage selections are of the non-alcoholic variety, including fruit and vegetable juices, Abita root beer and organic coffee. Menu favorites include the muffuletta, filled with ham, cheese, salami, and olive salad, and huevos rancheros, comprised of chilies, black beans, egg and tortillas in a deeply flavored mole sauce. Lush plants, whimsical art work and regional music playing in the background add to this restaurant's vitality. 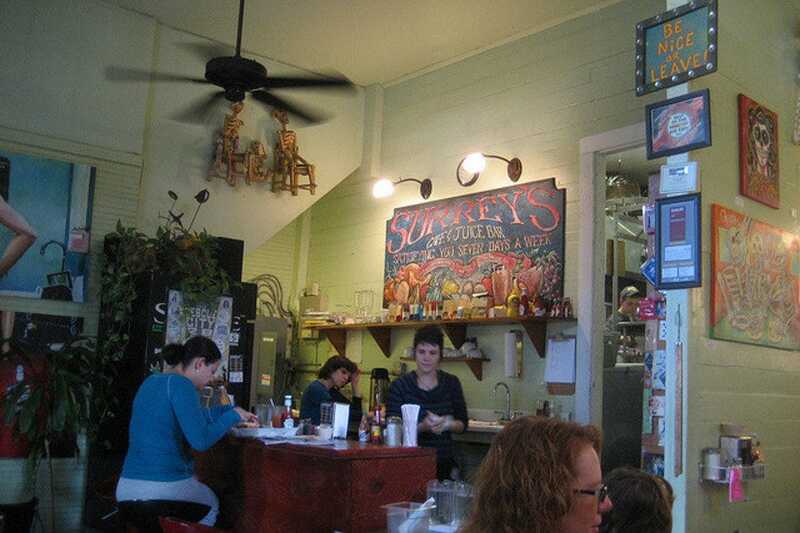 Surrey's has two locations on Magazine Street, one in the lower Garden shopping district and one uptown close to Napoleon Avenue. In a city where eating is a religious experience, Vessel takes dining to a holier than ever level. 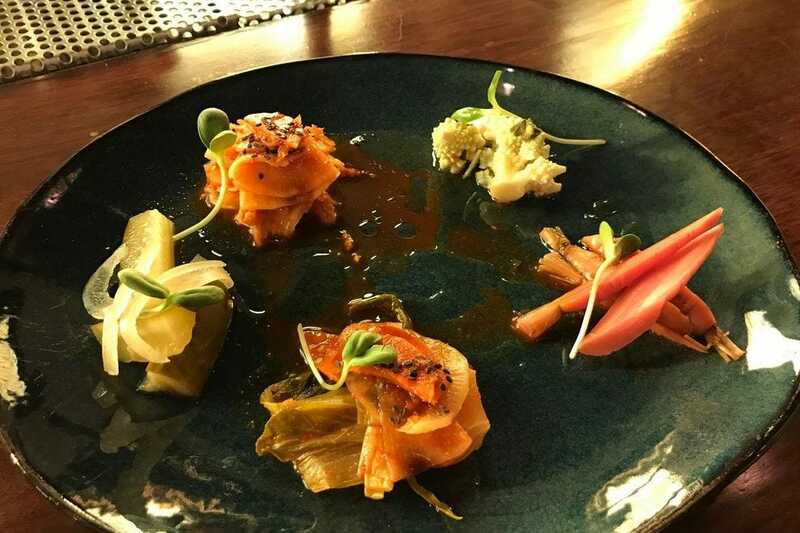 Located in a circa 1914 former Lutheran church just off Carrollton Ave., Vessel is one of those hidden gems that, once discovered, makes going out for dinner or brunch fun all over again. Sophisticated yet unpretentious, Vessel is blessed with Gothic bones, including stunning stained glass windows, soaring ceilings, a spanking new patio for outside dining and a bar where craft cocktails reign supreme. Chef Nick Vella, who helped open Noodle & Pie and worked the raw bar at Compere Lapin, brings fresh, local, clean flavors to the plate, whether it's the perfectly composed house made pickle snack or his Sunday brunch version of shrimp and toothsome Bellegarde grits spiked with smoky speck. Belly up to the backlit bar to savor drinks like Violent Delights Have Violent Ends, a devilish concoction made with Sheep Dip Blended Scotch, Liquore D'Erbe Amaro, St. George Spiced Pear Liquor, lime and ginger beer. Communal tables invite conversation or canoodle with your date at one of the two-tops over a meal of evangelical proportions. Vessel is from the same team behind The Bulldog, so you know the beer list is word. 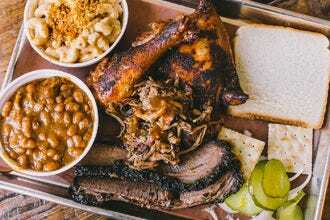 With tasty Southern cuisine at reasonable prices, this Bywater neighborhood standby is popular with locals and visitors alike. 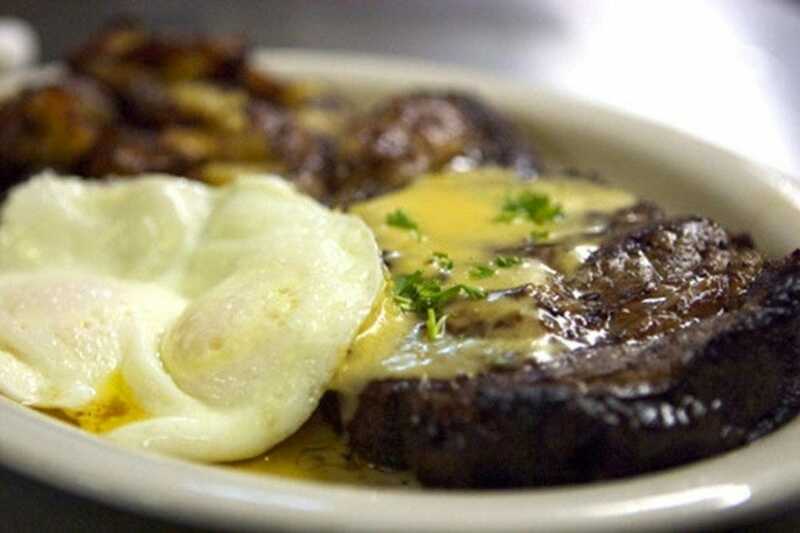 Weekend brunch earns a wild fan base for its copious portions of grillades and grits - think smothered steak and red neck eggs, poached and topped with fried green tomatoes. On the sweet side, you might find Bananas Foster stuffed French toast or homemade and biscuits with butter and honey. If there is a wait, head upstairs to the bar for a mimosa or veg-enhanced Bloody Mary, the perfect jump start to a fun-filled New Orleans day. Come hungry and prepare to be wowed by the charming setting, friendly service and downhome savory eats. 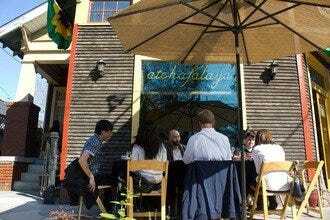 Arana Taqueria y Cantina, home to local chef Richard Papier, is a popular Magazine Street specializing in flavorfuil Mexican cuisine. The name, which means spider in Spanish, is a nod to the chef's longtime nickname. Look for slow braised pork, beef, chicken and duck cooked in banana leaves and dishes seasoned with achiote. 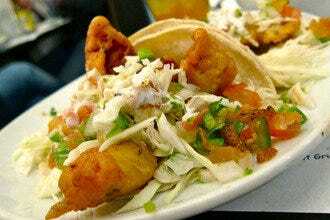 Papier, who has worked alongside chefs Emeril Lagasse, Donald link and Susan Spicer, gets creative with smoky chicken mole, a send up on chicken fried steak called torta Milanese and a variety of 12 different tacos including killer fish tacos with jalapeno sauce and a tasty carne asada. 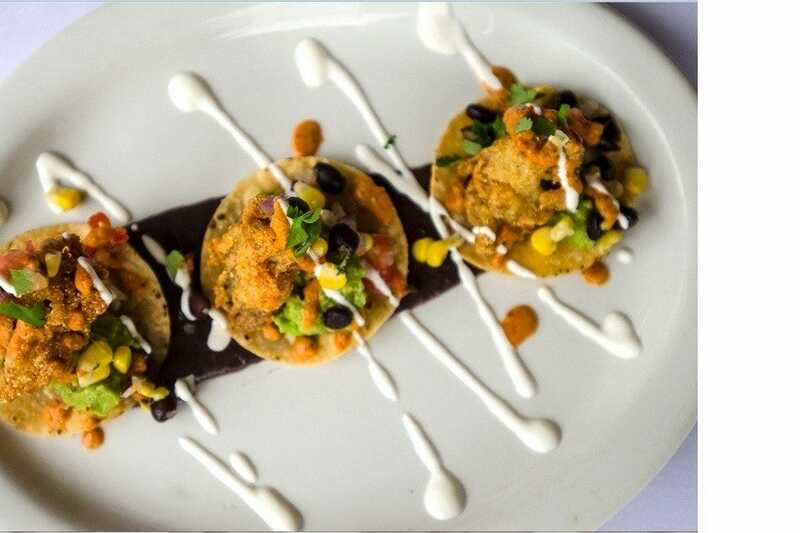 The chef recently launched a new menu featuring crowd pleasing Mexican dishes like fajitas, burritos and enchiladas - including the New Orleans-flavored fried oyster tostadas. 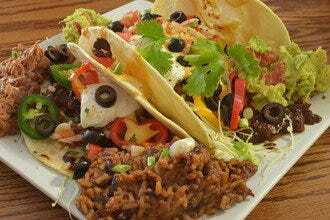 Situated on leafy Esplanade Avenue, Li'l Dizzy's delivers authentic Creole and Southern fare in a friendly, family atmosphere. Order from the menu if you like, dishes like jambalaya omelet with biscuits and grilled catfish and eggs are legendary favorites. But if your appetite knows no bounds, opt for the buffet. You'll get change from a $20 and the chance to tuck into made-to-order crab omelets, rice and beans, seafood gumbo and hot from the fryer chicken that is crispy, light and succulent. For dessert, bread pudding is the best choice night or day. 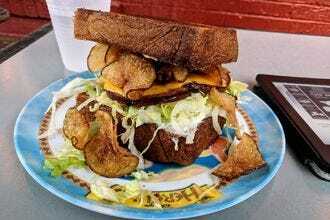 Expect to be treat like family, another reason locals love Li'l Dizzy's. 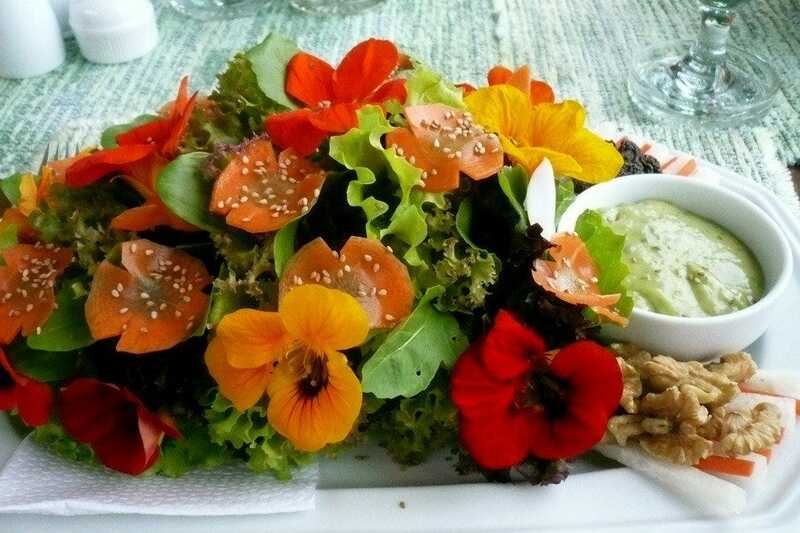 The food is so pretty at this at this airy restaurant dedicated to vegan, vegetarian, raw and gluten free dishes you may be tempted to eat your plate. 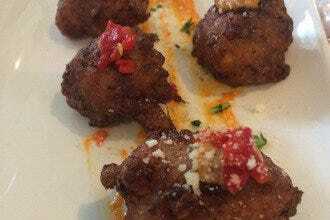 Local, sustainable ingredients power a menu with a surprising number of New Orleans specialties, tweaked but not torked. You can still enjoy comfort foods like nachos and chili cheese fries - made with cashew quesa, to New Orleans favorites like "inspired by "gumbo, a tasty simmer made with traditional roux , okra, green and red peppers, collard greens, mushrooms and spicy seitan if you're feeling frisky. Food so good you won't miss the meat. Try the zippy tofu scramble with "bacon." Compere Lapin (pronounced kom-pare la-pan) means "brother rabbit," a reference to a mischievous rabbit featured in the Caribbean folk tales chef Nina Compton read as a kid. Drawing on the story's themes of exploration and play, Compton designed a restaurant that features a mix of inventive flavors drawn from the New Orleans table, Compton's Caribbean roots, her French culinary training and deep experience with Italian cuisine. After even just a few bites, it's not hard to conjure Compere Lapin's island roots. Small plates, which pair insanely well with the bold drinks program designed by beverage director Ricky Gomez, include the likes of conch croquettes with pickled pineapple tartar sauce and roasted jerk corn with a citrus aioli. Flavors are exotic, tropical and tinged with just the right amount of heat. Brunch dishes including bruleed grapefruit, coconut French toast and goat Bolognese over cavatelli are delish. 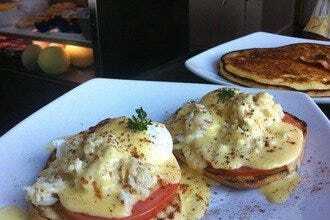 If you aren't celebrating something when you show up to Mr. B's for brunch, you will be soon. The gracious dining room is alive with good cheer, punctuated by the signature balloons that set a party mood - and are always in Saints colors on game day. 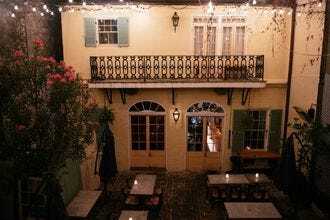 Mr. B's is a New Orleans seafood hot spot, located on Royal and Iberville in the French Quarter. SMr. 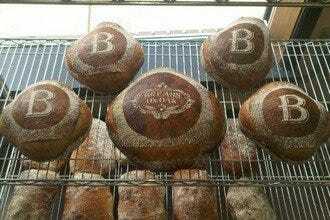 B's has served signature dishes like the Gumbo Ya Ya and BBQ Shrimp to New Orleans customers for years. This bistro's atmosphere is a mix of casual and chic, and Food & Wine magazine has called it "the best for business lunch". Whether you are here for business, or pleasure, Mr. B's excellent staff is ready to impress and coddle. Pull up a stool at stunning SoBou (south of Bourbon) in the W, from the Commander's family of restaurants. Here, a team of crackerjack bartenders create fab original cocktails and chef Juan Carlos Gonzales serves modern fare that is downright fetching. Don't miss his sweet potato beignets, an umami of sweet savory, rich and and creamy made with foie gras fondue, duck debris and chicory coffee ganache. Nibble your way through yellowfin tuna tartare with basil and avocado ice cream, foie gras topped with a yard egg and duck bacon on brioche, and pork ribs served with a swirl of sweet heat in the form of ghost pepper cotton candy.